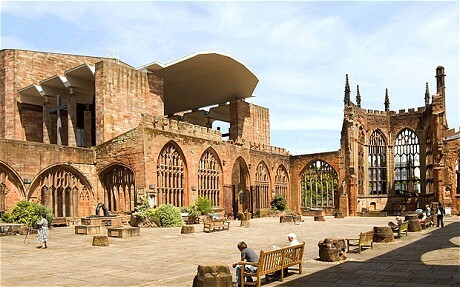 The historic cathedral, that was rebuilt after Nazi bombing raids in the Second World War, was thinking of investing over one hundred thousand pounds installing the panels. However cuts in the so-called ‘Feed in Tariff’ offered by the Government now make the project financially impossible. At the beginning the offer of 43 pence for every unit of energy generated meant that the cathedral would be able to pay back the costs of the investment and make money on top. But the Government’s decision to slash the so-called ‘Feed in Tariff’(FITS) by over half to 21p means that this is now financially impossible. 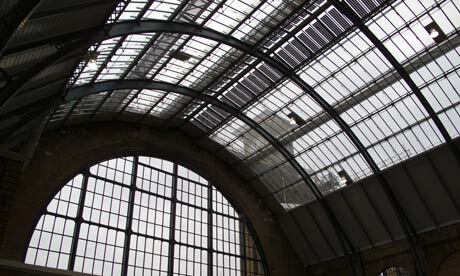 A massive £1.3m project to fit a 240 kilowatt solar system to the roof of King’s Cross station is nearing completion. The station’s new roof captured imaginations when it opened last week and impressed many that saw it. Now the process of installing solar panels along two new curved glass roofs soaring high above the platforms and concourses is in many ways just as spectacular. The solar PV cells are set into 1392 glass laminate units that form part of the 2,300 square metre glass roofing structure. The price of solar panel systems has been falling rapidly over the past year, and as a result the government has now proposed to lower the Feed In Tariff rates for < 4KW systems from 43.3p per kWh to 21p per kWh. This will take effect from the December 12th 2011 onwards. We have a limited number of systems remaining for installation and commissioning before that date. If you are interested, please fill out our income estimator and request a survey. The government forecast that 86MW of solar installations would be complete in the year ending March 2012, but by September 2011 the industry had already installed 316MW. So it looks like they are going to cut FITs for new installations. The amount and date when the cut will take place has not been finalised, but the rumour is that the new FIT rate will be 21p per KW/h and will take effect from the 8th December 2011. There is likely to be a massive boost to demand for systems that can be installed and commissioned before the 8th of December as people will want to lock into the higher 43.4p / KWh rate. We always knew the government were going to cut the FIT rates, it just looks like they are doing it sooner and further than expected. However, at the same time, the cost of panels has fallen a lot faster than anticipated. A 3.68KW system supplied and installed for £9999 – will generate approx £620 at the new 21p FIT rate, with export income and electricity savings of approx £230, so total income/savings of £850, which is still an 8.5% inflation protected return. Not quite as exciting as the 15% you can currently get, but still better than a lot of other investments. Energy prices are still set to go up, and as a nation we need to make the switch to renewables. The industry is still predicted to grow massively over the long term, there just might be a few bumps along the way.